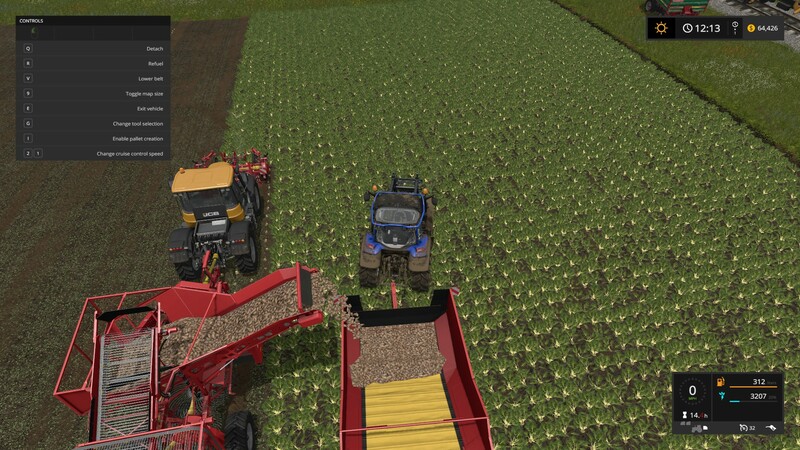 The Grimme 24-60 is a versatile and useful tool that can be used to store, transport and load sugar beets and potatoes. Here we describe some of it's trickier aspects. Here the small beet harvester is emptying into the 24-60, the 24-60 is passing the beets onto the 80-22, and the 80-22 is emptying into the train car. 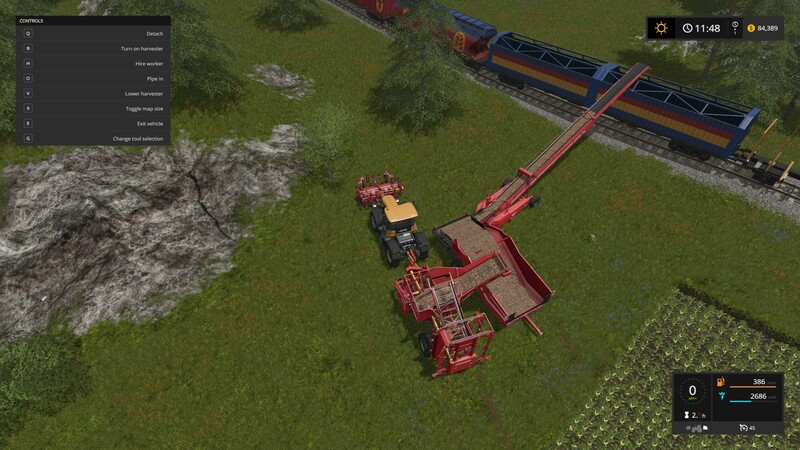 Here I'm using the 24-60 as a chaser bin to unload the harvester in motion. The small beet harvester has a capacity of 6000, so this machine can unload it nearly three times without being emptied. The small Lizard belt segment can load a belt and serve as a tip point, but it can't be used as a chaser bin or do the next trick, loading root crops into boxes on pallets. The 24-60 can also be used to make stackable, storable pallets of beets or potatoes that you can move with a loader. Each pallet can hold 2000 liters. 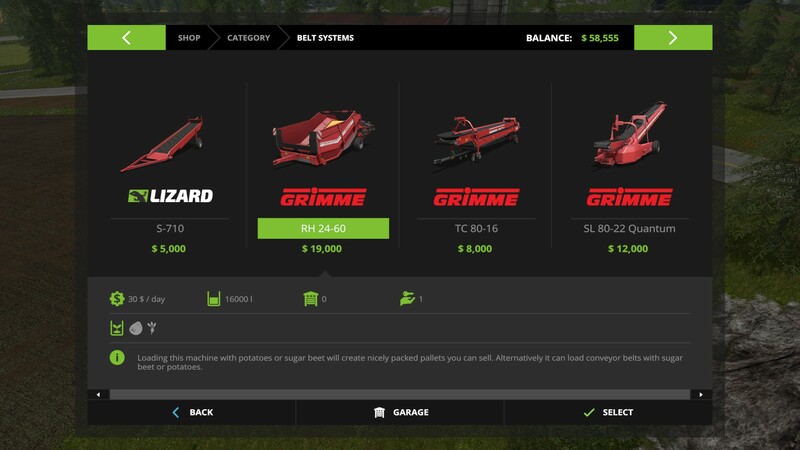 The machine doesn't need anything except crop to make pallets. Note that this machine cannot do "tip anywhere" so if crops go into this machine they can only leave either in a pallet box or on a conveyor belt. To make pallets, stop the machine somewhere relatively flat and press the key for enable pallet creation, on the gamepad it's RB+Y, on keyboard it's I. The machine will make a pallet crate out of thin air right below its discharge belt, and then slowly fill it over a few seconds. When the box is full, pull the machine forward and it will make a new pallet and start over again. If the machine runs out of crop partway through filling it will stop, and if you get more and move the discharge belt back over a partially full pallet it will resume filling it automatically. 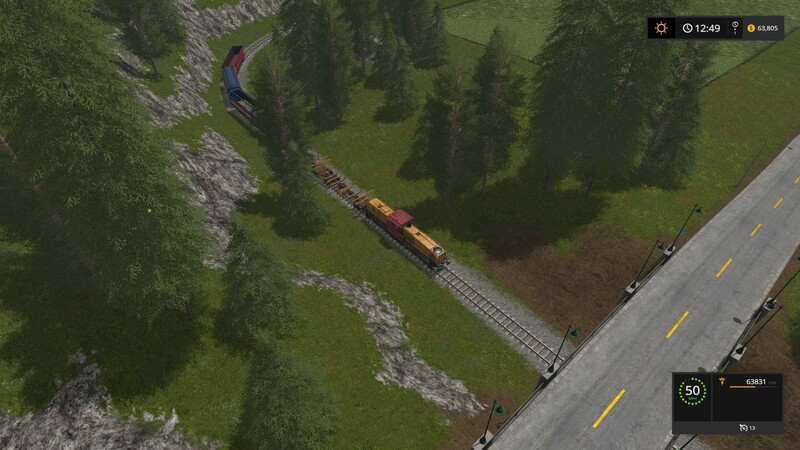 Be careful to always disable pallet creation when you're not using it, otherwise the machine will randomly make partially full pallets as you drive! The pallets themselves work basically like the seed and fertilizer Big Bags. They can't be spilled, as we can see in this little mishap at right. When the pallet is on your machine's forks you'll see its fill level in the display at bottom-right. They cannot be emptied on the ground or into tippers directly, but if you hold them over a tip point that accepts that crop it'll slowly drain out and when the pallet is empty it disappears. 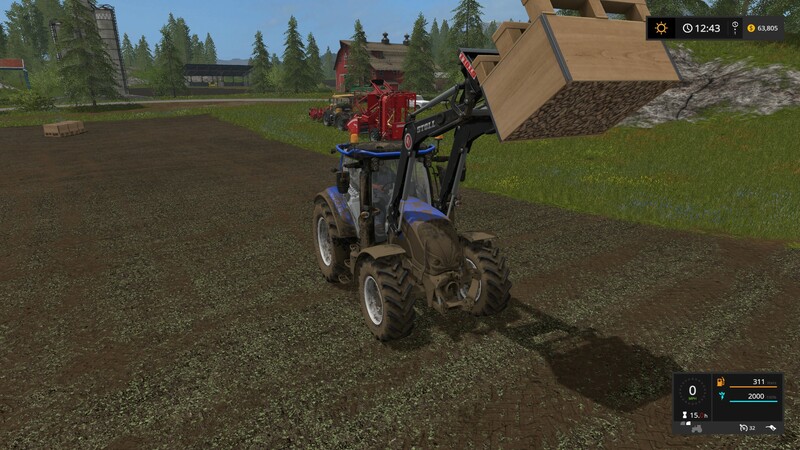 This includes the 24-60 machine itself, so you can use it to make pallets and then use it to drain those same pallets onto a belt and then onto a trailer if you want. 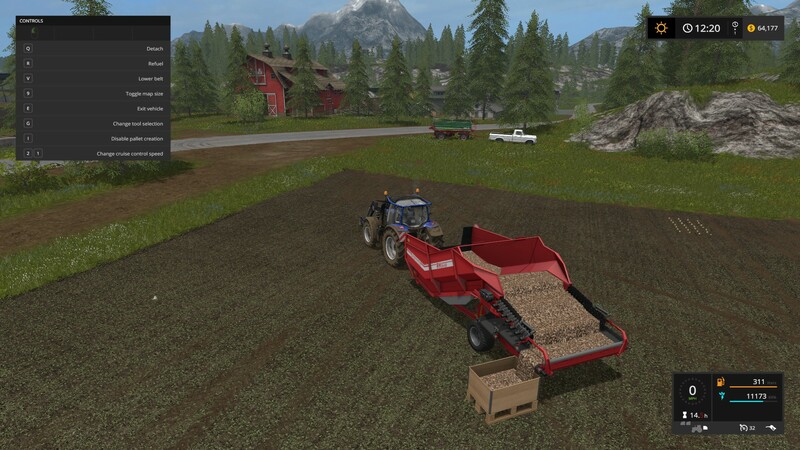 I used it to load a train car, and given the insane yield that root crops provide this kind of handling equipment is really needed, I got 63000 l out of a tiny field, that's more than the biggest semitrailer can hold, imagine how many train wagons you could fill from one of the big ones! These little pallets are also handy for provding the small amount of root crops that pigs need to hit 100%, just stash a few boxes near the pen and it saves you from taking a whole trailer full of potatoes over to only use a small portion of it. It makes me wish that you could do this with all crops, but alas in the base unmodded game you can only box up potatoes and sugar beets. Written by: Bluetooth the Pirate.